Dallas native Jim Suhler may not be a household name, but whether you know his name or not, you have heard his work before. His awesome guitar skills have enabled him to share the stage with the biggest names in the business, including Buddy Guy, Johnny Winter, Willie Nelson, AC/DC, Les Paul, Billy Gibbons and Joe Bonamassa. 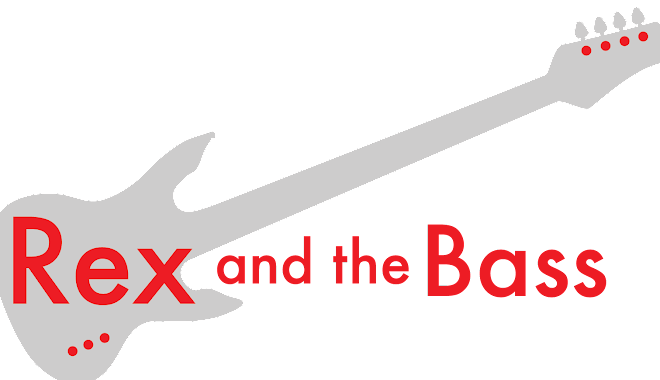 But his bread and butter for the past fifteen years has been his rhythm guitar gig with George Thorogood and the Destroyers -- he has appeared on all of their albums since 1999 and toured with the band all over the world. Despite these demands for his time he also keeps very busy with his own band, Jim Suhler & Monkey Beat. 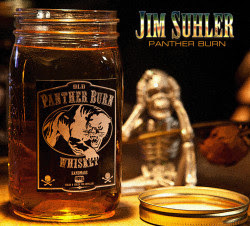 Panther Burn is his fifth release, and it is a well-polished tour through all that the Texas blues scene has to offer. Its 14 tracks include 13 originals and one special cover tune. Suhler takes on many of the vocal and guitar chores and is joined by a bevy of talent, including Monkey Beat members Shawn Phares on organ, Carlton Powell on bass and Beau Chadwell on drums (former member Jimmy Morgan also contributes his drum work to a few tracks). Special guests include Kim Wilson of The Fabulous Thunderbirds and Asleep at the Wheel’s Ray Benson, Carolyn Wonderland and Jason Elmore. The title track kicks off the record, and “Panther Burn” is a slow swamp rocker with an intense mood. There is a lot going here, with Tim Alexander filling in on organ and Suhler stacking up layers of guitars, to which he adds healthy servings of conventional electric and delta slide guitar breaks. This song has a very modern sound while still capturing the raw feel of the Gulf States music. The mood changes drastically for the next song, “I Declare,” which is a hard-hitting roadhouse boogie with righteous honkytonk piano alongside Wilson’s fine harp work. There is a lot more accordion on Panther Burn than you will find on most blues albums, and in this case it is used effectively to change up genres on a few of the tracks. Alexander’s squeeze box lends a Tex-Mex feel to “Across the Brazos”, a country sound to the super-fun “Texassippi,” and Cajun flavor to “Jump up Sister.” The accordion is not just for polka and norteño music, my friends! There also is a touch of gospel influence to be found on Panther Burn. “Amen Corner” is less than a minute of Suhler on electric guitar and Alexander on the super-fat church organ. This song serves as an introduction to “All God’s Children Get the Blues Sometime” with guest vocals from Wonderland and Benson. This is old-time gospel blues, and the sweet vocals (and Jim’s steel guitar) will put a smile on your face. Part way through the album Jim Suhler pulls back the curtain and gives his fans a glimpse of his personal struggle with the loss of his daughter twelve years ago in a traffic accident. Even without knowing this back story “I See You” is a touching love story that is sung with conviction; it is a beautifully written and performed tribute to Brittany. The sole cover is “Remember Mama,” which was written by the legendary Elmer Bernstein for the soundtrack of the film, To Kill a Mockingbird. This instrumental is barely two minutes long, and it is set against a sparse background of piano and organ. Suhler uses many guitar textures and tones to set up a melodic slide guitar interlude. It is a shame this song was not a little longer, as it is a really nice piece of work! The album finishes up with “Worldwide Hoodoo” which is a red-hot blues rocker with funk-based rhythm guitar and bass. This fast-paced tune gives the listener one last chance to hear Suhler’s guitar prowess, and it is a final reminder that he has serious songwriting and production skills – this is about as tight as things can get. Everything in the Lone Star State is bigger, and so is its music. Texas blues has influences that range from country, western swing, gospel to Tex-Mex, and Panther Burn incorporates all of these flavors and more. Jim Suhler is a consummate professional and ties all of these influences together into a cohesive unit, with the end result being his best effort to date. If you love guitar blues you owe it to yourself to give it a listen!